Ontario NDP Leader Andrea Horwath reveals new documents that she says show the province had already signed off on leaked health-care legislation the Progressive Conservatives dismissed as "just a draft" last week. 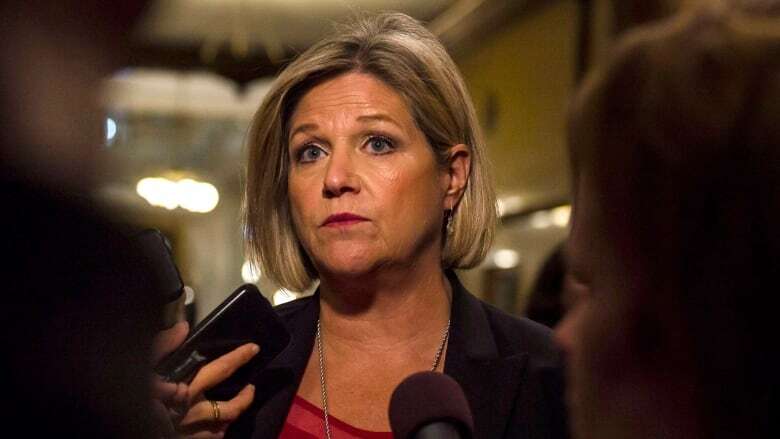 Ontario NDP Leader Andrea Horwath revealed new documents on Monday she says show the province had already signed off on leaked health-care legislation the Progressive Conservatives dismissed as "just a draft" last week. Hours later, Health Minister Christine Elliott battled back at her own news conference, accusing the NDP of "fear-mongering." Elliott also said the material was non-partisan public service documents that she had never seen. The unnamed bureaucrat allegedly responsible for the document breach has been fired, and the Ontario Provincial Police have been called in to probe the case. But the NDP says the "internal government documents" released on Monday appear to be government presentations, and include references to cabinet approving the plan and appointing board members. "It's a done deal," Horwath said. "But the entire Ford government has been hiding this plan from the public. Why? Because people won't like it." The documents follow last week's draft legislation, also leaked by the NDP, showing the Doug Ford government wants to create a "super agency." 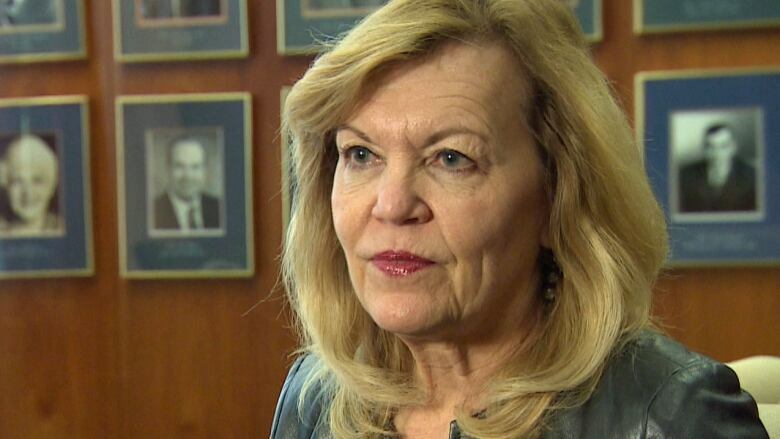 The NDP accused the government of working to expand private company involvement in Ontario's health system, but Elliott denied that allegation last week, maintaining the government is committed to strengthening the province's public health system. CBC Toronto has learned that the public servant behind the "unauthorized disclosure of confidential government documents" has been fired. The OPP has been notified of the breach, said Steven Davidson, the head of the Ontario Public Service. Christo Aivalis, a Queen's University labour studies professor, said while government documents are routinely leaked, the sources of those leaks are rarely fired or prosecuted. He said he believes the PC government is putting pressure on bureaucrats to crack down on leaking. "I think that it's being done here, because the dirt that's been dug up — for lack of a better term — has real meaning to it, and the government is probably mad the people have found out the nature of their actions," Aivalis said. "I think they're acting to prevent further leaks of credible information in the future, and that's why they've taken this step." In December, high ranking officials received confidential information of the government's planned changes to Ontario's health-care system, Horwath said. Horwath said the changes would give the PC government "unprecedented power to farm out" services to private sector entities. The NDP also says the documents introduce a new model of care delivery, called MyCare groups, which would outsource services such as laboratories, many of which are already privately run, and the province's air ambulance service. The NDP leader said the contracts would be won through a bid system, which will have "expression of interest" due in March, if the legislation were approved. Ontario's health minister said Monday the NDP "intentionally created confusion" about the PCs' plans for health care in Ontario. Elliott said the government has no plans to create for pay services and says people with money will never be able to "skip the line" when it comes to health-care services. "We will not be privatizing any of the services referenced today by Andrea Horwath," Elliott said. "In fact, the document that she released today was an internal non-partisan public service document which I have never seen." Elliott went on to say, her government is bringing "desperately needed and overdue changes" to Ontario's health system at a later date. 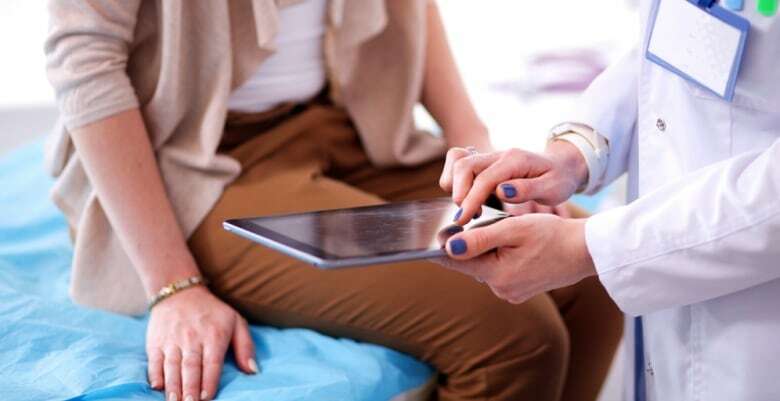 Last week, the NDP released a draft version of upcoming PC health-care legislation, which would dissolve the province's Local Health Integration Networks (LHIN) and create a "super agency" to oversee the health system. The NDP received all the documents last week, but only released the draft legislation last week and held onto the internal government documents over the weekend. "I think it was important for our staff to take as much due diligence as possible," Horwath said, defending her decision to withhold some details last week." "We do not have anything else to share with you on this subject, and who knows, we all know how this works, today is today, tomorrow is tomorrow and next week is next week."